Sugar & Hatter is the combined talents of two young(ish!) ladies from Norfolk - one of which I have the pleasure of knowing. 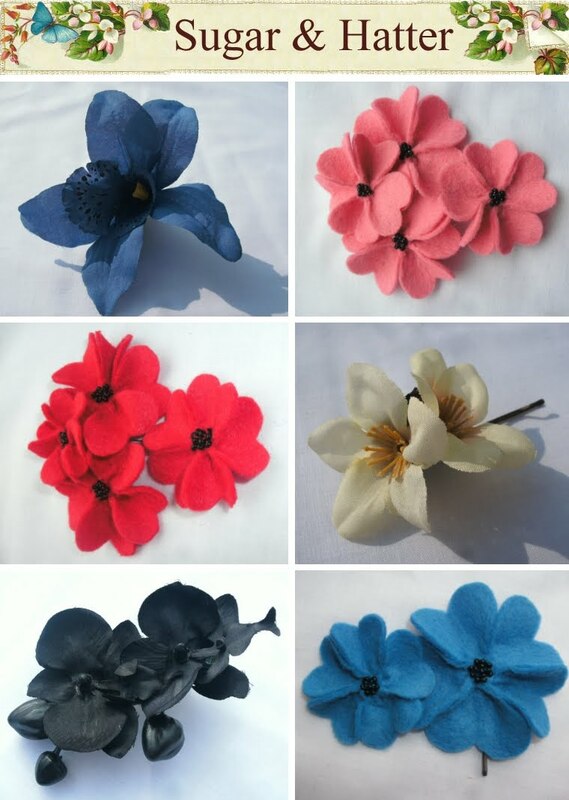 Both have been making vintage inspired accessories since they were able to pick up a needle and thread and together they have opened a new shop of lovely hair accessories. I was incredibly fortunate to get to wear a lovely felt creation by one of the ladies for one of my best friends wedding (over a year ago now?!) and I'm definitely buying something else for an up and coming wedding this month too. As well as having a lovely shop, Sugar and Hatter also have a great new blog so check them out!